Fifteen-year-old Kendra hasn't felt safe since she began to recall devastating memories of childhood sexual abuse, especially because she still can't remember the most important detail: her abuser's identity. Frightened, Kendra believes someone is always watching and following her, leaving menacing messages only she understands. If she lets her guard down even for a minute, it could cost Kendra her life. To relieve the pressure, Kendra cuts; aside from her brilliantly expressive artwork, it's her only way of coping. I really enjoyed it and Emily's voice was perfect! When Alix's charismatic girlfriend, Swanee, dies from sudden cardiac arrest, Alix is overcome with despair. As she searches Swanee's room for mementos of their relationship, she finds Swanee's cell phone, pinging with dozens of texts sent from a mysterious contact, L.T. The most recent text reads: "Please tell me what I did. Please, Swan. Te amo. I love you." Shocked and betrayed, Alix learns that Swanee has been leading a double life - secretly dating a girl named Liana the entire time she's been with Alix. First time I saw her was in the mirror on my locker door. I'd kicked my swim gear onto the bottom shelf and was reaching to the top for my calc book when she opened her locker across the hall. She had a streaked blonde ponytail dangling out the back of her baseball cap.... We slammed our lockers in unison and turned. Her eyes met mine. "Hi," she said, smiling. My stomach fluttered. "Hi," I answered automatically. She was new. Had to be. I would've noticed her. She sauntered away, but not before I caught a glimpse of her T-shirt. It said: IMRU? Am I what? Fifteen-year-old Jeff wakes up on New Year's Day to find himself in the hospital. Make that the psychiatric ward. With the nut jobs. Clearly, this is all a huge mistake. Forget about the bandages on his wrists and the notes on his chart. Forget about his problems with his best friend, Allie, and her boyfriend, Burke. Jeff's perfectly fine, perfectly normal, not like the other kids in the hospital with him. Now they've got problems. The last time Lex was happy, it was before. When she had a family that was whole. A boyfriend she loved. Friends who didn't look at her like she might break down at any moment. Now she's just the girl whose brother killed himself. And it feels like that's all she'll ever be. As Lex starts to put her life back together, she tries to block out what happened the night Tyler died. But there's a secret she hasn't told anyone--a text Tyler sent that could have changed everything. 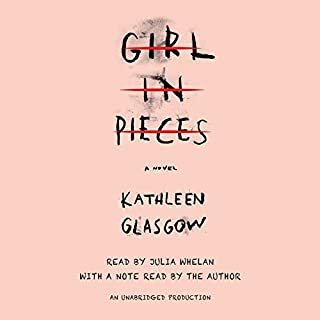 Narrator Kathryn Merry gives Daelyn Rice a voice almost deadened with pain after a lifetime of bullying, but also lets her intelligence and vulnerability shine through. Daelyn has tried to kill herself before, and although her parents try to protect her, she finds a Website that will give her advice on suicide and a chance to talk about why she wants to die. The only thing getting in the way is a boy at her school who keeps trying to speak to her even though she rejects him at every turn. 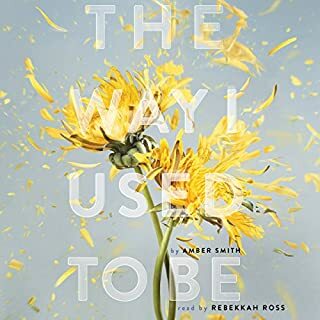 Merry's performance is mesmerizing and listeners will find themselves caring and fearing for Daelyn, hoping that she will somehow find a way to come back from the brink. 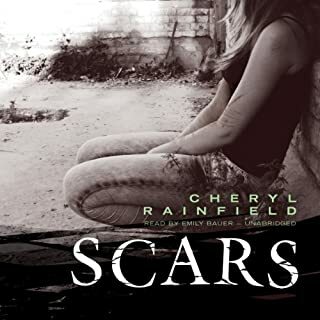 After a lifetime of being bullied, Daelyn is broken beyond repair. She has tried to kill herself before, and is determined to get it right this time. Though her parents think they can protect her, she finds a Web site for "completers" that seems made just for her. She blogs on its forums, purging her harrowing history. At her private Catholic school, the only person who interacts with her is a boy named Santana. No matter how poorly she treats him, he just won’t leave her alone. And it's too late for Daelyn to be letting people into her life...isn’t it? 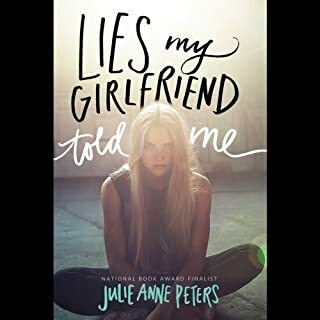 In this harrowing, compelling novel, Julie Anne Peters shines a light on what might make a teenager want to kill herself, as well as how she might start to bring herself back from the edge. A discussion guide and resource list prepared by "bullycide" expert C. J. Bott are included in the back matter. 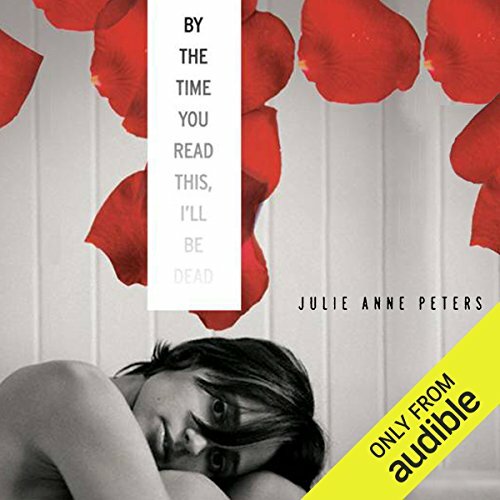 ©2010 Julie Anne Peters (P)2013 Audible, Inc. 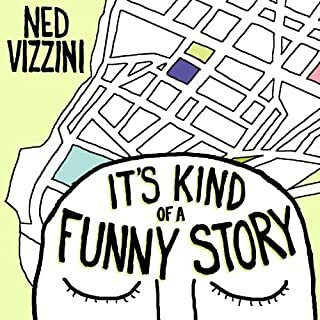 If you’ve even dealt with bullying or sexual assault, if you’ve ever been fat, teased, taunted or insulted this book will make you hurt. It will rip open old wounds and make you ant to scream. If you have children, it will make you want to grab them, wrap them in bubble wrap and lock them indoors. I think parent and young children alike should read this, parents so they’re not so oblivious and children so they understand to speak up, defend themselves and that it doesn’t last forever and that school is the lease important part of your life socially. And that it does get better. The needing however might piss some people off. It an unresolved cliff hanger. Not my favorite type of book. Would you listen to By the Time You Read This, I'll Be Dead again? Why? Yes, there is so much going on it benefits from multiple reads. The characters, the realistic approach to teenage suicide and depression. Have you listened to any of Kathryn Merry’s other performances? How does this one compare? 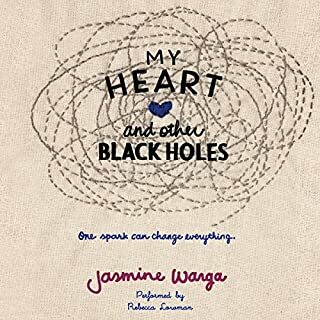 The believable narration draws you in to the very heart a beautiful written heart breaking story, her best yet.